33 pictures taken at the right moment. 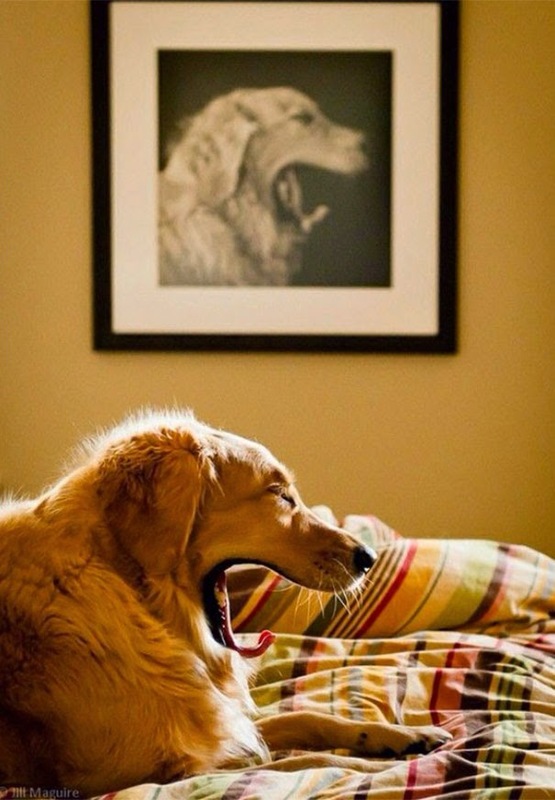 36 more perfectly timed photos. Suresh Venkatasubramanian criticizes the role of ACM in today's research community, in an open letter to Vint Cerf. He pulls no punches. Many of the same issues arise in discussions in the ACM SIGPLAN Executive Committee. It is too early to go independent, as the Symposium on Computational Geometry has done from ACM and as the Conference on Computational Complexity has done from IEEE, but the idea is on the horizon. How do we satisfy our need to keep informed about results that might influence our work ? We (still) read papers and go to conferences. And how does the ACM help ? Well not very well. Aggregating the deluge of information: anyone will tell you that the amount of research material to track and read has grown exponentially. But we still, to this day, have nothing like PUBMED/MEDLINE as a central clearinghouse for publications in CS-disciplines. The ACM DL is one step towards this, but it's a very poor imitation of what a 21st century repository of information should look like. It's not comprehensive, its bibliographic data is more erroneous than one expects, and the search mechanisms are just plain depressing (it's much easier to use Google). Dealing with the changing nature of peer review and publication: Sadly, ACM, rather than acting like a society with its members' interests at heart, has been acting as a for-profit publisher with a some window dressing to make it look less execrable. Many people have documented this far more effectively than I ever could. Conference services: One of the services a national organization supposedly provides are the conference services that help keep communities running. But what exactly does the ACM do ? It sits back and nitpicks conference budgets, but provides little in the way of real institutional support. There's no infrastructure to help with conference review processes, no support for at-conference-time services like social networking, fostering online discussion and communities, and even modern web support. I only bring this up because all of these services exist, but piecemeal, and outside the ACM umbrella. Underneath all of this is a slow but clear change in the overall CS research experience. The CRA has been doing yeoman service here: taking the temperature of the community every year with the Taulbee surveys, putting out a best practices document for postdocs after extensive community discussion, and even forming action groups to help gain more support for CS research from the government. Does the ACM do any of this ? 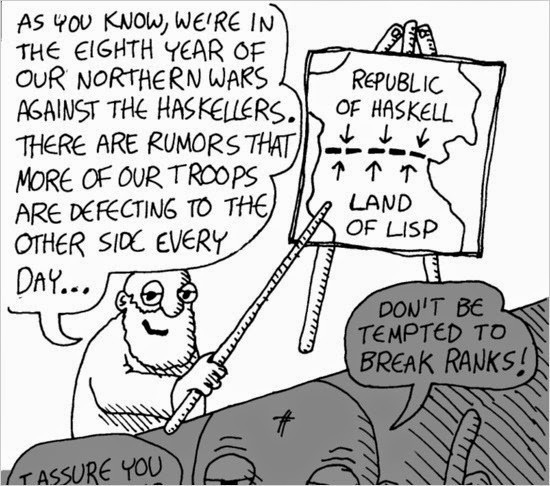 Bitemyapp - Meditations on Using Haskell explains why and how those in the trenches use Haskell, by quoting from conversations on an IRC channel. So when i found haskell i slingshotted off through dependent and substructural types. Assuming that if a little was good a lot was better. Made it half way through TaPL and found pure type systems, coq, etc. I think the power to weight ratio isn’t there. I find that Haskell gives amazingly expressive types that have amazingpower for the amount of code you tie up in them and that are very resistant to refactoring. If i write agda and refactor I scrap and rewrite everything. If i write haskell, and get my tricky logic bits right? I can refactor it, split things up into classes, play all the squishy software engineering games to get a nice API I want. And in the end if it still compiles I can trust I didn’t screw up the refactoring with a very high degree of assurance. Admittedly I’m not playing at the level E is, but this was my experience. 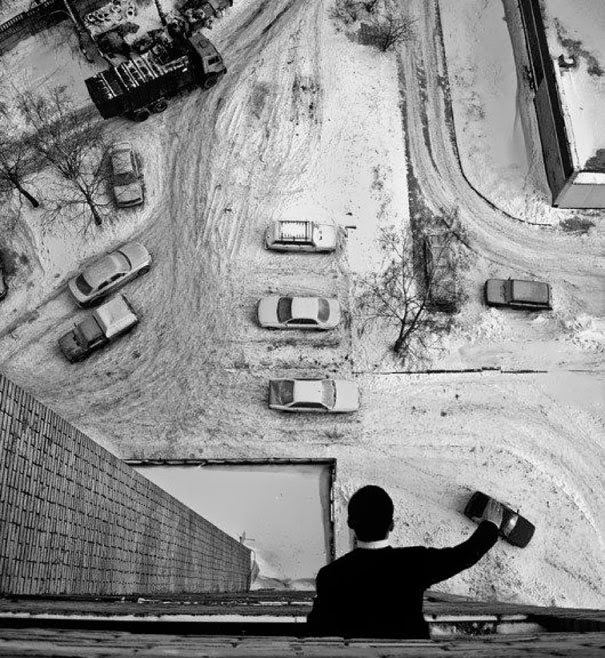 I can make sweeping changes to my API, get all the bugs caught by the type system, and still have minimal code impact. That is what I was getting at with the tweet about not using dynamically typed langs because I need to be able to prototype quickly and get rapid feedback.